Ronnie beat Tom Ford by 6-1 to book his place in tomorrow’s final. There is a lot at stake there tomorrow in terms of records. Indeed nobody had defended the UK crown since Stephen Hendry in 1996 and a win for Ronnie would place him ahead of Steve Davis with 7 UK titles for 6 to Davis. It would also put Ronnie ahead of Stephen Hendry in terms of Triple Crown titles, with 19 for Ronnie to 18 for Stephen. And, of course, winning this one again 25 years after his first would be some feat! But Ronnie will probably have to play better than he did today if he is to win, although the match stats aren’t too shabby. Hopefully the records won’t be too much on his mind. Tom Ford had occasions and I expect that Mark Allen or Stuart Bingham will make more of them if they are presented with opportunities tomorrow. A lot of frames got a bit scrappy, and Ronnie missed a couple of balls he would normally pot, but he stayed patient and focused on the job. Towards the end of the match, one could sense that Tom didn’t really believe that he could win anymore. This result also means that the line-up for the Masters 2019 in now known, although the seeding can still change, with Stuart Bingham possibly overcoming Ding Junhui for the 8th place. Jack Lisowski, placed n°16, is the only debutant. Remember that the top 8 are seeded in the Masters, with the 9-16 randomly drawn against them. This means that Ronnie could possibly play John Higgins in the quarter finals, and Mark Allen or Jack Lisowski in the semi finals. Ronnie O’Sullivan reached the final of the Betway UK Championship for the eighth time with a 6-1 thumping of Tom Ford in York. O’Sullivan has now won 26 out of 27 matches in this tournament over the past four years, having lifted the trophy in 2014 and 2017 and reached the final in 2016 and 2018. He has also won 25 out of 27 matches so far this season having won the Shanghai Masters and Champion of Champions and reached two other finals. A quarter of a century after winning his first UK title back in 1993, he is as powerful a force on the baize as he has ever been. In Sunday’s final he will face Mark Allen or Stuart Bingham over 19 frames, with the winner to earn £170,000. Victory would give O’Sullivan his seventh UK title and 19th Triple Crown success, surpassing records he currently shares with Steve Davis and Stephen Hendry respectively. Ford, playing in a Triple Crown semi-final for the first time, started well today with a break of 68 to win the opening frame, but could not take the chances that came his way in the remainder of the match. World number three O’Sullivan made top breaks of 122, 71 and 51 as he strolled into his 49th ranking final. “I’m pleased to be in the final,” said Chigwell’s 43-year-old O’Sullivan. “Tom missed a few balls, that’s what happens in big matches. Whenever I have got to a semi-final and played the likes of Stephen Hendry, John Higgins and Mark Williams it’s not easy. I like to consider myself in that bracket so maybe my opponents are feeling what I feel in those situations. “I got into the match in the second frame and at 3-1 at the interval I felt good and knew I just had to keep going. It’s great that I can keep performing for the crowd because they are willing me on. The fans know I have a big heart for them. I try to play with a smile on my face and if I play a decent match it might brighten up someone’s day. “York is a fantastic place, even when you are not playing you can walk around the streets and there are lovely coffee bars. It’s a beautiful place to spend ten days. This is where you want to be playing tournaments, in great cities like this. We’re lucky to have such a great venue for a great tournament. Ronnie isn’t opposed to the idea of discussing the situation regarding the alleged “breakaway”, but clearly has little faith that it will bring any changes. He also insisted that this would be a “last resort” for him, it’s not what he wants really. Defending champion Ronnie O’Sullivan said he would be “over the moon” to win a record seventh UK title after beating Tom Ford 6-1 to reach the final. 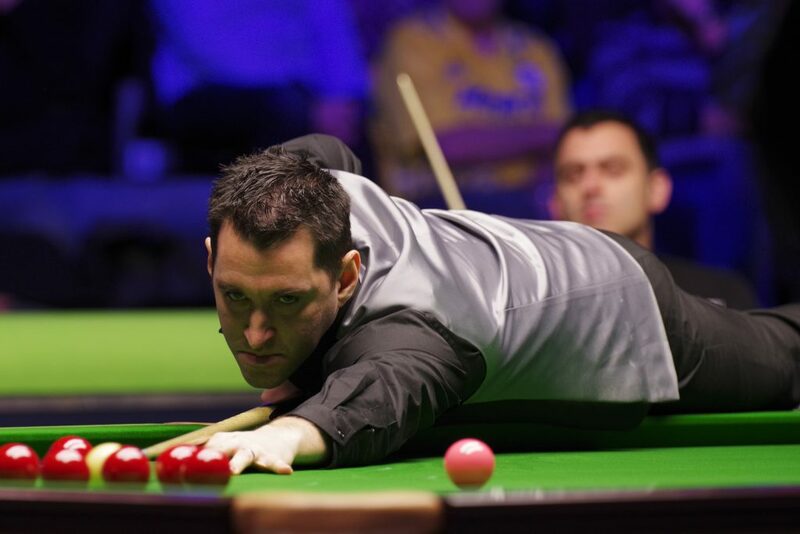 The 43-year-old, who missed the 2015 event, has now reached the final in his past four UK Championship appearances. After falling behind against fellow Englishman Ford, he made breaks of 122 and 71 in winning six frames in a row. 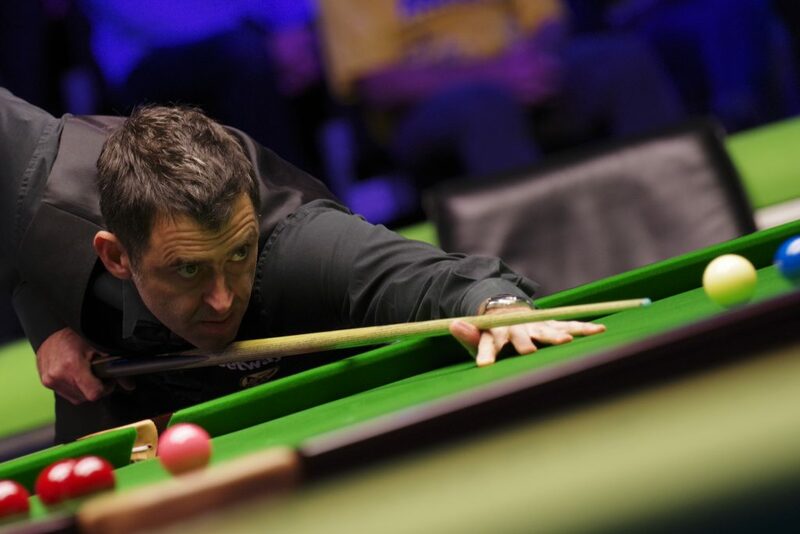 O’Sullivan will face either Masters champion Mark Allen or Stuart Bingham in Sunday’s final. Since the start of the 2014 event, O’Sullivan has won 26 of his 27 matches here, with his defeat in the 2016 final by Mark Selby the only blot on his record. And victory on Sunday would take ‘The Rocket’ to a record 19 tournament wins in BBC ‘Triple Crown’ events – the World and UK Championships, and Masters. An upbeat O’Sullivan said: “If it does not happen this year then maybe the year after, there is still plenty of time. I want to go out there and be involved in a good match. What is more important is that it is a good final for snooker and the fans that follow the sport. “At some point you have to ask what it is all about. Sometimes you wake up and think there are a lot of people out there who get a lot of pleasure [from seeing him win]. I want to be able to repay that by playing with a smile on my face. “If I am not winning then it is not the end of the world as people still want to see you do well. The shock exits of Judd Trump and Ding Junhui opened a more comfortable route to the final, meaning O’Sullivan instead faced outsiders Martin O’Donnell and Ford. After Ford opened the semi-final with a 68 break, O’Sullivan stamped his authority on the contest, effortlessly closing out the match. His 122 break in the second frame took him just 15 shy of becoming the first player to make 1,000 professional centuries in the sport. Ford said: “It is a bit bit frustrating because I felt good out there. I enjoyed playing a match that I lost because of the experience and the crowd. I felt quite relaxed.